Magicka: Wizard Wars is a sandbox action PvP game that utilizes the humor and dynamic spellcasting system of Magicka, tasking players to form teams of four and blaze their way across the battlefield together, combining elements to cast hundreds of different spells to generate a broad variety of offensive and defensive effects. Each player can design a persistent and personalized wizard with hundreds of unique items and guide them to glory. Wizard Wars is a Fun-to-Play Team-based PvP experience, filled with tongue-in-cheek references to popular media and current events. With short rounds and unpredictable strategies, Wizard Wars gives both novice players and experienced MOBA veterans a unique tactical depth in every encounter. 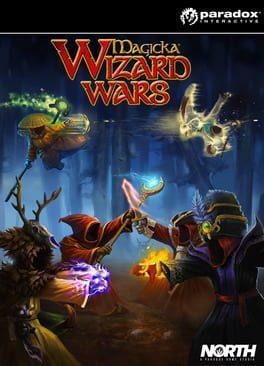 Magicka: Wizard Wars is available from 9.99 to 9.99 from 1 shops.